"Danny isn't here, Mrs. Torrance." 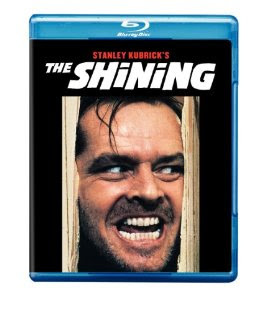 I can't believe my father snuck me to see The Shining when I was just 11 years old. My mom would have killed him if she found out. I did have a couple nightmares about the bloody elevator scene, but I am so glad I got to see this film on the big screen when it first came out. Poltergeist 2 is a decent follow-up sequel. I don't re-watch it very often (I do enjoy seeing the first film every few years) and I never go back to the horrid Poltergeist 3.